The more we walk with Christ the more we should have a desire to know Him, The Holy Spirit and His Word more. They often can't even name basic things like the 4 Gospels or other very rudimentary things about The Scriptures...things that the average "Sunday School" aged child could answer...not that many churches even have Sunday School anymore for kids or adults anymore. It's as if some give an intellectual nod to the Bible but they don't really own their faith. They don't honor God's Word nor give it the proper place in their lives that they should. Now, while we may go through dry seasons on occasion, it's really a lack of priority, urgency, self-discipline, and maybe a bit of laziness on our part as those who are follower's of Christ. It's time to change this my friend! As you begin your walk with Christ or if you've followed Him for many years, you will know or should come to know how important it is for you to study and abide in God's Word. God's Word is a vital part of your life in Christ as you walk with Him day-to-day. You and I also need to understand that God's Word isn't just "another book", rather, it's His very Word! ...helps you get to know Jesus more. ...helps you understand yourself more. ...helps you grow as a disciple of Christ that in turn helps make other disciples of Christ. ...is nourishment for your heart, mind, and soul. ...brings hope to the hopeless. ...is sharper that any two-edged sword. ...gives you everything you need for life and godliness. ...is vital and is much more than this brief list can contain. What is absolutely amazing to me is that The Creator of the universe cares so much for you and I that He's left us instructions, wisdom and history on how to live our lives how He designed. The Bible is essential and you need to abide In Christ and Abiding in God's Word. If you are truly a disciple of Christ...you better prove it by abiding in God's Word. Not in a legalistic "check the Bible reading box off" way as is the habit of some, but in a purposeful and enjoyable way...much like when you enjoy your favorite meal. God's Word is that much of a delight if you have the right perspective on it. The Bible is essential and you need to study God's Word. God is The One Who takes all the broken pieces of our lives and puts them back together again. Part of how He puts things back together comes through how He uses His Word in the process of transforming our heart and mind. He replaces our old thinking and ways with teaching us with the better ways of His Word. If you really want to learn, grow and live, you need to study God's Word! Want to really know God the Father, Son and Holy Spirit? Get into God's Word! Want to understand gifts and talents? Get into God's Word! Want to know your identity and worth better? Get into God's Word! Need wisdom and direction? Get into God's Word! Need to learn about how to live a godly life? Get into God's Word! Need finance management help? Get into God's Word! Need relationship advice? 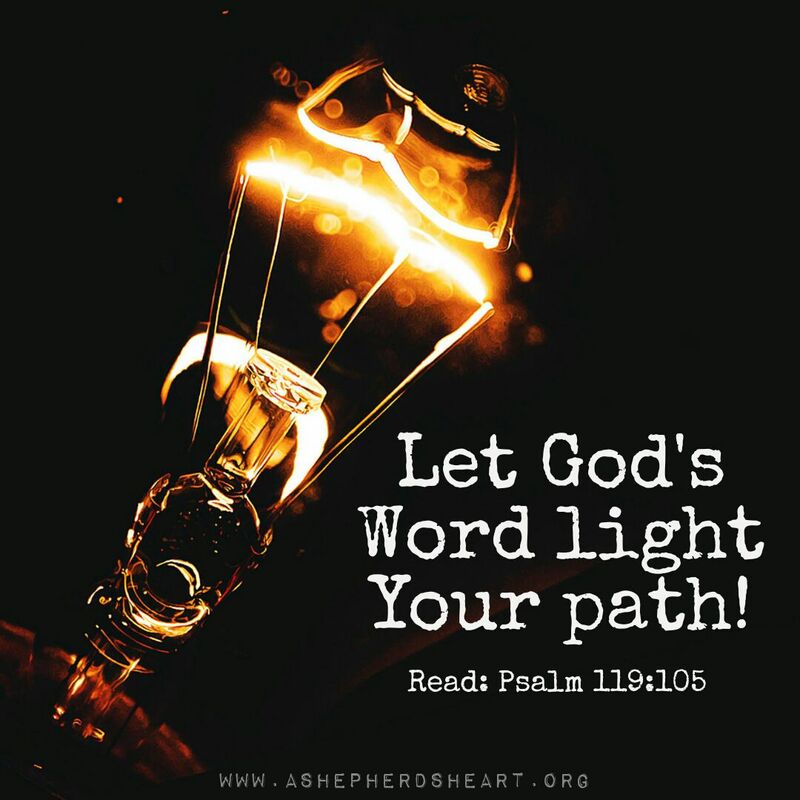 Get into God's Word! The choice to read, study and abide in God's Word is completely up to you. The Word of God is not optional for true followers of Christ. If you are truly a born again Christian, as a follower and disciple of Christ it's time to step it up! None of us have any excuse to not do everything we can to make God's Word a priority. Will you pick up the Word to at least read and study it for a few minutes before you, lets say...pick up the TV remote? Will you regularly choose to pick up and read and study God's Word for at least a few minutes each day before you get drawn into social media, games or other distractions via your phone? It only has to start with you making a good choice for yourself and creating regular good habits to pick up God's Word to read, study, and abide in it. Even don't have a physical copy with you on a given moment, with our connected devices and computers...there are a ton of free ways to access God's Word. Let me challenge you to start with reading His Word for at least 15 minutes a day, then reflect on what you read. Then you can build from there as it's more about quality rather than quantity! Whether it's 5 minutes, 15 minutes or more...make your time count and don't forget to pray that God through His Holy Spirit will help you learn what you're supposed to be learning. You will never regret spending time in God's Word as you seek to study and abide day-by-day because you have everything to gain and absolutely nothing to lose! P.S. Keep your eyes out for the next post where we'll take a look at some Bible Study Methods that you might check out!